How to watch The Outstanding Woman: Season 1 (2014) on Netflix Canada! Yes, The Outstanding Woman: Season 1 is now available on Canadian Netflix. It arrived for online streaming on October 3, 2017. We'll keep checking Netflix Canada for The Outstanding Woman: Season 1, and this page will be updated with any changes. A young fashion magazine editor is a successful career woman who seems to have everything, but she must learn to balance her work, friends and love. Life has handed her an outstanding career, but success and fame don't always mix with love and friendship. Season 1 of The Outstanding Woman has 5 episodes. Because different Netflix countries have different availability for episodes, you'll need to check the episode listing below to see which are available in Canada. While enjoying the greatest popularity of her life, Wu-hui gets a confession of love from her best friend but is not sure if this nice guy is the one. 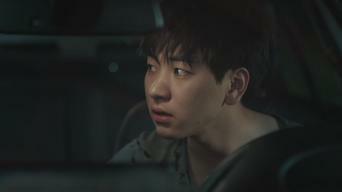 A drunk Wu-hui calls her usual chauffeur service and ends up in her ex-boyfriend's place. She tries to leave but he comes in with his new girl. Wu-hui goes on a car date at the riverside with hip hop star Ju-seung, but he suddenly gets nervous, saying they are being photographed by paparazzi. Wu-hui invites celebs to her birthday party but no one can make it, and a typhoon is approaching. She sees Jae-hong sending a video message on TV. Wu-hui has an interview with a familiar-looking female comedian. Jae-hong has a new girlfriend, and word spreads about Wu-hui's scandal with Ju-seung.